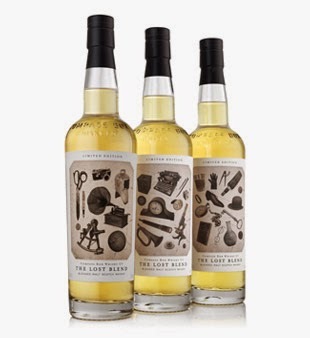 The Lost Blend (46.0%): I have another new release from London based independent blending house Compass Box on my desk tonight. Some whisky enthusiasts will remember (most of them with a loud sigh of sadness and nostalgia...) the legendary Compass Box Eleuthera, the company's first ever single malt blend released almost 12 years ago. After running out of stocks of the component malts John Glaser had to discontinue the blend around 2004 and since then it has been one of the holy grails of whisky-sphere. All over the world whisky geeks are still having dreams of the day when they will find a forgotten bottle of Eleuthera on a dusty shelf in a small town liquor shop... I have to say that I was lucky enough to have the chance to taste a mini bottle long long time ago and believe me I still remember how good it was... People in the know know very well that no whisky from John Glaser's lab comes without a good story and The Lost Blend is not an exception: It is inspired by a short story with the exact same title written by William Sidney Porter a.k.a. O. Henry in 1907. O. Henry's story talks about two business partners from New York trying to create a unique blend of spirits with close to supernatural properties. Got it..? 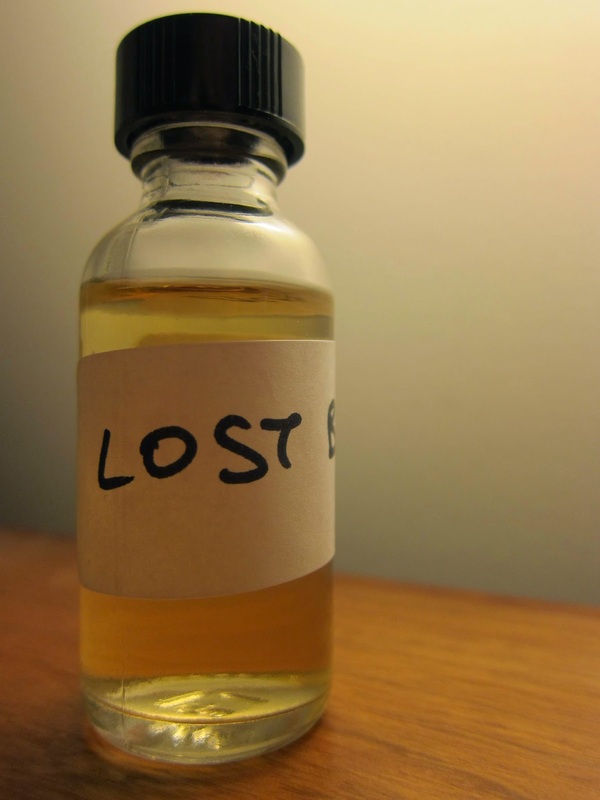 The Lost Blend, Eleuthera, unique blend of spirits, John Glaser, supernatural powers..? Yep, that's it... Anyway, back to the facts: The result of the experiment is a blend of 10 to 19 year old single malt whiskies with 16 year old on average sourced mainly from Clynelish (almost 80%) and Caol Ila (just under 20%) distilleries with a wee contribution from a lesser known distillery from Speyside named Allt-A-Bhainne. The whisky is not chill-filtered, bottled at 46% abv. and only 12,018 bottles have been made available worldwide. Color: Unoaked Chardonnay, straw. Nose: A summer afternoon trip in a small fishing boat following the shore line: Sea spray, wet hemp ropes, seaweeds and outboard engine covered with gas and oil... Candle wax and paraffin. Green Anjou pears, orange blossom honey, crunchy rocket leaves and wet barley on malting floor. Palate: Salted butter, charcoal pieces and lemon juice. Bitter greens, grilled banana peppers, green asparagus and salted kipper. Water opens the whisky up with slightly sweeter notes: Roasted pine nuts, orange zest jam and olive brine. Finish: Long, salty and briny with white pepper dustings. Overall: Another great whisky from John Glaser... This time it is bolder and a little on the pricier side at around $110 but the liquid inside the bottle totally justifies the price tag. Actually this whisky reminded me The Peat Monster Reserve, 5th year Anniversary Edition a lot..! It is being distributed to a liquor store near you as we speak but you better act fast. I don't think these bottles will spend any time in the stores to collect dust on their shoulders. Thanks again to Robin Robinson for the sample.